Weight Limit: 220 lbs. weight limit. Height Limit: 23”H/22” W handlebars. 25 x 19.5 inches of deck size. Ground to Handlebar: 26.75″ L / 4.5″ W / 32.5″H of dimensions. Great for beginners and intermediate riders. Moderately hard wheels for stunt riding. HIC compression system allows for easy dialing. Dialed out of the box. The 6-spoke core design makes the wheels less durable than solid core. Fuzion Z300 pro scooter is a high-quality stunt scooter ideal for beginners and intermediate scooter riders.The lightweight aluminum deck and reinforced neck are at the base of this scooter’s reliability. The sealed ABEC 9 bearings ensure the smooth ride, while the semi-soft, high-rebound 88A polyurethane wheels allow you to easily perform a wide range of stunts.Z300 also features the effective Nylon and Steel Triad brake. Z300 comes dialed out of the box, but it also features the HIC compression system, which will allow you to easily and quickly redial the scooter if necessary. Z300 is suitable for teens and even some adults. Apart from that, it has got enough to it be able to satisfy even advanced riders! Hands down, one of the best trick scooters you could get! Ground to Handlebar: 23” x 19” handlebars. 25” L X 4” W X 32” Hof dimensions. Nice stunt scooter for beginners. Semi-soft, solid-core 100mm polyurethane wheels for tricking. Strong neck and new-design fork. Durable and noiseless nylon/steel brake. Comes dialed out of the box. Not the best bearings included. If you have been looking for a good beginner-level stunt scooter for your kids, Fuzion X-3 is a rather nice option. And who knows, maybe X-3 is the best stunt scooter for the 12-year-old kid of yours! X-3 features a new “Faze” fork, which is stronger and lighter than the older models. While X-3 comes with 100mm wheels out of the box, the fork allows for the installation of up to 110mm wheels. The steel handlebar is inspired by pro-grade stunt scooters and offers increased feeling of control so important for stunts. Another feature contributing to the stunt-making capabilities of X-3 is the 100mm 85 polyurethane wheels with just enough softness for beginners to get a good idea of performing stunts. X-3 features an effective and durable nylon/steel brake for enhanced control over the speed of the scooter. The best-in-class HIC compression system with only three bolts to tighten allows you to dial the scooter in just minutes whenever necessary. However, you won’t have to perform dialing initially as X-3 comes dialed out of the box. Fuzion X-3 also comes with ABEC 9 bearings, but these particular bearings aren’t the best choice out there, so you might want to replace them with something better for smoother rides. In fact, you might even want to pay a visit to Fuzion’s website to see if they have some more spare parts to help you shape your perfect scooter with. And that’s maybe the greatest thing about X-3 stunt scooter! Ground to Handlebar: 27.25” L X 4” W X 32” H of dimensions. Another great stunt scooter for beginners. Moderately soft 100mm 85 polyurethane wheels. The stock bearings could be better. X-3 PRO is almost identical to X-3 in terms of features, but this particular X-3 PRO comes in a truly eye-catching gold color scheme. So apart from the great features of X-3, this stunt scooter also is nice-looking, as it should be for possibly the best stunt scooter for beginners. X-3 PRO has 85 polyurethane 100mm wheels for easy entry for beginners. With 220 lbs. of the weight limit, this stunt scooter is great for children and even some adults. The already familiar nylon/steel brake offers good speed control while ABEC 9 bearings ensure the smooth ride, though the stock bearings aren’t the best you can find out there.To allow you to start riding almost immediately, X-3 PRO comes dialed out of the box. Weight: 220 lbs. weight limit. Dimension: 35 x 4.5 x 33.6 inches of dimensions. The handlebar can be adjusted between 29 and 36 inches. Bigger wheels for increased cruising comfort. Foldable design for easy carry and storage. Dual rear brake plus handle brake. The spoke design of the wheel core might be not very durable. The stock ABEC 7 bearings won’t deliver the smoothest experience possible. Fuzion Cityglide B200 is the first cruising scooter on our reviews of best scooters.It has a number of features making it a particularly nice option for convenient rides. The handlebar of B200 can be adjusted between 29 and 36 inches, allowing for a wider range of heights. Both kids and adults can comfortably ride this scooter, given that they do not exceed the weight limit. Unlike small wheels which make every little bump and stone feel devastating, the big wheels will allow for seamless riding experience. We aren’t sure what the level of softness of the wheels is, but user reviews say that they are quite nice for cruising. Another remarkable feature of B200 is its handbrake. Though Fuzion equips this scooter with the common rear brake, you will have the alternative handbrake as easier to use means of controlling your speed. What is also nice about Cityglide is its foldable design. Just fold the scooter in half, and you will be able to easily store and carry the scooter around. The rather light weight of 9.9 lbs. additionally contributes to the easiness of transport of B200. Ground to Handlebar: Measures 41 x 17 x 42 inches. Max speed of 15 mph. Up to 40 minutes of battery time. A great choice for short regular trips. Large 10-inch pneumatic tires for smooth rides. High-torque motor for up to 15 mph of speed. Long recommended battery recharge time won’t allow you to ride very many times during the day. Doesn’t differ from E300 at all yet is more expensive. If you have been looking for a scooter for your short trips to work and back home, Razor E325 might be the right choice for you. It features a quiet-operation chain-drive motor for up to 15 mph of speed. This E325 is the “newer” version of the old discontinued E325, so it, unfortunately, doesn’t have the variable speed acceleration marketed in the product description. The 10-inch pneumatic tires deliver such level of comfort that no kick scooter can achieve. A part from that, this scooter doesn’t require you to perform kicks, which is why it is a nice choice for short trips. The battery operates for up to 40 minutes when fully charged. Unfortunately, the battery is fully recharged in 12 hours, so you probably won’t be able to ride for more than those 40 minutes. Another great choice of a cruising scooter. Easy to use hand brake. Retractable kickstand for short stops. Takes up quite a bit of space. You might notice that E300 is very similar to E325. And you wouldn’t be wrong: E325 is identical to E300. The thing is that thescooter has been labeled E325 to be sold by certain retailers. But the one labeled E300 is generally cheaper, so you would want to go for it. As you might have already realized, the features are the same. E300 has the familiar chain-driven motor with quiet operation and allows for speeds of up to 15 mph. The extra wide pneumatic tires won’t allow the bumps and stones on the road to disturb you during your trips. The hand brake will help you with controlling the speed of the scooter while the retractable kickstand will allow you to securelypark it. Be mindful though that you will be need quite a bit of storage space for Razor E300 as it isn’t foldable. Weight Limit: 120 lbs. weight limit. 8-inch pneumatic front wheel and urethane back wheel. Ground to Handlebar: Measures 2.5 x 16 x 36 inches. Max speed of 10 mph. A great cruising electric scooter for children. Quiet and powerful chain-driven motor. Twist grip throttle and hand-operated brake. The rear wheel can slide on some surfaces. Needs more space than a kick scooter. If you have been looking for a cruising electric scooter for your kids, Razor E100 is a pretty nice option. Just make sure that your kid doesn’t weigh more than 120 lbs.! E100 has almost the same motor as E300 and E325 do, but it’s a little bit weaker and allows for 10 mph of max speed. E100 features a twist-grip throttle and a handbrake, but the latter seems to be not very effective, according to user reviews, so you might want to teach your kids to brake by steering the scooter. Another noticeable downside of E100 is the rear urethane wheel, which is far behind of the front pneumatic wheel in terms of ride comfort. But all in all, E100 is a quite nice electric scooter for kids! Weight Limit: 154 lbs. weight limit. Ground to Handlebar: Measures 37 x 16 x 42inches. Max speed of 12 mph. Supports up to 154 lbs. of weight. Rear and front pneumatic tires for a smooth ride. Has a retractable spring-loaded kickstand. Quiet motor delivering enough power for the max speed of 12 mph. Convenient twist-grip throttle and handbrake. Takes the long time to recharge. If E100 was just barely not enough for you, E200 might do just perfectly. The main differences of E200 from E100 are the higher weight limit of 154 lbs. as well as that both of the 8-inch wide wheels are pneumatic. And let’s also not forget that the chain-driven motor of this electric scooter is slightly more powerful: it allows for a max speed of 12 mph. So all in all, E200 is an ideal choice for an electric scooter for teens! In terms of the rest of the features, E200 is pretty familiar. It has an on/off twistgrip as well as an easy to use a hand-operated brake. And lastly, the retractable kickstand is also at its place. Weight Limit: 220 lbs. of the weight limit. Up to 220 lbs. of supported weight. Great for those who can stand for a long time. Removable riding seat for more convenient trips. Twist grip acceleration and handbrake. The seating position may be cramped if you are tall. The low number of battery recharge cycles. Razor E300S has a remarkable feature: it comes with a removable riding seat, which might be able to make your rides a little bit easier. Moreover, you may find the seat 100% necessary if you can’t endure standing on the scooter for too long. But keep in mind that your riding position may end up rather cramped if you are tall! You are free to remove the seat, and when you do so, you get pretty much the Razor E300 electric scooter. After all, the rest of the features is the same: E300S has a high-power chain-driven motor, twist-grip acceleration, a handbrake, a retractable kickstand, and wide pneumatic tires. Ground to Handlebar: Measures 35 x 21 x 41 inches. A nice cruising kick scooter for kids and lighter adults. Adjustable handlebar for a wide range of rider heights. The handlebar is rather narrow. If you don’t really need an electric scooter or maybe cannot afford one, have a look at Razor A5 Lux, one of the best high-end cruising kick scooters offered by Razor. The aluminum deck and t-tube allow for support of up to 220 lbs. individuals, just enough for kids and lighter adults. The handlebars are adjustable, offering a good range of comfort for a variety of heights, though you may find the handlebar too narrow for you. Weight Limit: 143 lbs. weight limit. Ground to Handlebar: Measures 26 x 13.5 x 34 inches. A great scooter for kids who have just begun to discover kick scooters. The wheels may be too small for the comfortable ride. Why is this kick scooter great for beginners? Because it is something in between stunt and cruising kick scooters. It certainly isn’t a pure stunt scooter because it has an adjustable handlebar height and foldable design, and it certainly isn’t a pure cruiser because of the small wheels. Razor A scooter would be a nice choice if your kid doesn’t know where he or she will be taking the scooter skills yet. Get this scooter, and you will be able to see which direction your kid wants to pick. Another good all-around kid’s scooter. Spring-less shock system on the wheels. Wheelie bar for more fun during the rides. The handlebar can be adjustable for a wide range of heights. Can be folded for easy carry and transport. Not the best for cruising due to the wheel size. Razor A2 is a yet another hybrid kick scooter. But this time, it goes a little bit deeper. On one hand, it is equipped with a front spring-less shock system to make cruising more comfortable (though the shock system can come in handy with tricking as well). On the other, it has a wheelie bar for some fun tricking. Razor A2 is overall a good choice for more experienced kids who are yet to choose their riding style. Slightly more inclined towards cruising due to bigger wheels. Accommodates a good range of heights. Convenient and compact two-fold design. Bigger wheels make this scooter not as suitable for stunts. The only difference between Razor A3 and A2 is the wheel size, but that’s enough to change the character of the scooter quite a bit. Bigger wheels won’t be as susceptible to the bumps on the road, making A3 a nice choice for kids who don’t like stunts very much. On the other hand, A3 does come with the familiar wheelie bar for occasional tricks. So if you want more of a cruising scooter for your kid, Razor A3 would be one of the best scooters under $100. Weight Limit: 45 lbs. weight limit. Ground to Handlebar: Measures 22.2″ x 14.4″ x 25.98″. A perfect scooter for younger kids. 3-wheel design for increased stability. The rear wheel may pose some inconvenience during kicking. If you have been looking for a scooter for your 3 years old kid, you should definitely look into Razor Jr. Lil’ Kick Scooter. Its most remarkable feature is the 3-wheel design, which allows for increased stability for inexperienced kids. Though keep in mind that the rear wheels may make the kicking actions a little bit inconvenient! Jr. Lil’ Kick Scooter also has padded handlebars for grip comfort and also a rather wide deck for stability. This scooter doesn’t have any braking mechanism, but that shouldn’t be an issue since your kid probably won’t be able to speed up that much. Weight Limit: 140 lbs. weight limit. 20 x 4 inches of deck size. Suitable for beginning stunt riders. Max supported the weight of 140 lbs. Medium carbon steel handlebar with a triple clamp for stability. Moderately soft 88A polyurethane wheels. Somewhat weak spoked wheel core design. If the stunt kick scooters we examined previously weren’t quite the right thing you are looking for, have a look at VokulTrii S2. It has all the features a good stunt scooter should have, making it a great choice for your kid. This scooter doesn’t have an adjustable handlebar and foldable design, but this means that there are no weak points associated with those features. On the other hand, this also means that the scooter won’t work with as many people. The grip-tape deck is made from reinforced aluminum while the handlebar is built from medium carbon steel. The base of the handlebar is equipped with a triple clamp for tight action. The 100mm 88A shock-absorbing and rebounding polyurethane wheels aren’t overly soft for a good balance between comfort and traction. In fact, it may be easier for new stunt riders to try out medium-soft wheels before moving on to the softest models. If you end up absolutely loving this model, you should be able to get softer wheels for better stunt experience. Trii S2 also weighs only 7.3 lbs., making performing stunts with this kick scooter rather easy. And lastly, Trii S2 comes with a rear brake, which could be helpful in some trick doing, apart from its main function. Keep in mind that the stock bearings aren’t the best you can find, meaning that you might want to think about the replacement. Deck Size: 19.7″L x 4.1″W deck size. Another excellent choice for kids. Strong neck and deck materials. The wheels have the not so durable spoke design. Not the smoothest bearings of its type are included. VokulTrii S1 is the simpler version of S2, although there aren’t too many differences between the two stunt scooters. Maybe the most significant difference is that the clamp of S1 is dual, unlike the tri-clamp of S2.This may more or less impact how often you will be tightening the bolts to ensure stability, but there shouldn’t be other aspects to the difference. Apart from that, S1 is a just a tad heavier than S2: 7.7 lbs. against 7.3 lbs. The only way your kid will notice the heavier weight of this scooter is if he or she has been using a lighter stunt scooter before. But nonetheless, S1 is rather lightweight for great stunt performance. Lastly, the handlebar design is somewhat different, but this virtually doesn’t impact the handling experience. S1 has the 88A polyurethane wheels that are already familiar to us from S2. The effective rear brake is also here. And the downside of the similarities between S1 and S2 is that this model has the same mediocre-quality bearings. Who would S2 be suitable for? If you liked S1 but didn’t quite need its remarkable features, S2 would be great as it generally costs less than S1. Apart from that, S2 will be a rather nice option for your kid who has just begun to search for himself in the world of scooters. So why not start with a rather nice model? 22 H x 20 W inches of handlebar size. Ground to Handlebar: 4.5″ W x 19.5″ L deck size. Durable and easy-to-dial HIC compression system. Strong hi-tensile steel fork and T-bar. The T-bar is fully upgradeable. Big and medium-soft 110mm 88A alloy wheels. Somewhat questionable choice of spoked wheels. Now comes the first advanced-grade stunt scooter on our list! Phoenix Pilot Pro is a truly remarkable stunt kick scooter, and let’s see why. Pilot Pro comes with the reliable HIC compression system, which not only ensures stability but is also exceptionally easy to dial. The only thing you will need to do is just tighten a couple of bolts, and the scooter will be fully dialed! The handlebar of this stunt scooter is 22 inches high and 20 inches wide. This makes Pilot Pro highly comfortable for kidsand not so tall adults, but taller individuals will probably need to cramp to gain full control of this stunt scooter. Luckily, Phoenix made sure that you can easily upgrade the T-bar, so even taller riders will have a chance to try Pilot Pro out. Phoenix Pilot Pro comes with highly smooth ABEC 9 bearings, which seem to live up to their name as they are generally better than similar bearings of other stunt scooters. The chances are that you won’t even have to worry about replacing the bearings with something better. Another notable feature of this scooter is its pretty wide 4.5-inch deck, which can easily accommodate bigger shoe sizes. And let’s also not forget the 110mm 88A alloy wheels, which are the main contributors to this scooter’s great stunt performance! Unfortunately, the manufacturer doesn’t provide any data on the weight limit of this scooter, so we can’t say how the wide range of riders it can support. Ground to Handlebar: 26 x 22 inches of handlebar size. An all-around great scooter for pros. Strong alloy fork& deck and chromoly steel handlebars. The deck has a good width to it. Easy to manage a HIC compression system. Rear steel flex plate brake. One would really expect solid-core wheels on such a product. If scooters for kids and short adults aren’t the things you need, Mayhem Phantom Pro Scooter has got you covered! It features a 26 inches high handlebar, which will be especially convenient for taller individuals. But this stunt scooter will still be a rather nice choice for older kids and teens! Phantom Pro has everything an expensive scooter should possess. Firstly, it has got a HIC compression system, one of the easiest to use and most reliable compression systems you can find. Secondly, it has 110mm 5-spoke wheels with ABEC 9 bearings for seamless riding experience. But too bad that Mayhem didn’t put any info on the wheel material and softness on their product page! The strong alloy deck has rather a nice width to it, and that isn’t very surprising for such a large stunt scooter. In addition, Phantom Pro boasts tough alloy fork and rear steel flex brake. Now, what’s the weight limit of this pro scooter, you might be asking. Honestly, we don’t know either as Mayhem doesn’t mention any weight limits in their product descriptions. Come on, one would expect that for such a pricey product, the seller would provide us with in-depth specs! But given the materials and the level of this scooter, it should support well over 200 lbs. Weight Limit: 140 lbs. max weight. A fairly nice choice for kids. Heat-treated aluminum deck & handlebar tubes and hi-tensile steel fork. 87A hi-impact urethane wheels with the solid core. ABEC 5 bearings for the fairly good level of smoothness. Two-bolt clamps to keep the bars constantly aligned. You shouldn’t expect seamless performance from the stock bearings. Some complaints about the overall durability of the scooter. Back onto affordable scooters for children! Pulse Performance KR2 is a rather nice beginner’s stunt scooter, though it isn’t free from downsides. But let’s start with the pros first. Pulse Performance KR2 stunt scooter boasts a heat-treated aluminum deck and handlebars, as well as hi-tensile steel fork, which greatly contributes to the longevity of KR2, though there have been some complaints on the durability of this stunt scooter. KR2 also has 100mm 87A urethane wheels for great beginner-level of stunt performance. Remarkably, the wheels of this scooter have a solid-core design, which is generally quite a bit stronger than spoked wheels. This stunt scooter is also equipped with a 2-bolt clamp to keep the bar steady and allow for infrequent maintenance of the clamp. A nice feature of KR2 is the spring steel brake. Spring steel is used in the production of automotive suspension, meaning that the material allows for retaining the original shape of components. Now, KR2’s brake obviously isn’t as durable as a suspension system. Also, do not confuse the term “spring steel” with the presence of springs in the brakes: the brake of KR2 has none. Springs in brakes are bad because they quickly wear off, reducing the efficiency of the brake. But that’s fortunately not the case for KR2, so expect the brakes to deliver great effectiveness! Weight Limit: 300 lbs. max weight. Strong build for the support of up to 300 lbs. of weight. Moderately soft wheels for good stunt performance. Hi-tensile steel fork, aluminum clamp, and stainless steel brake. Quite a lot of complaints about the durability of the scooter. The bearings aren’t as smooth as one might expect from ABEC 9. Yet another fairly nice option for kids when it comes to the range of features. Outon Pro Freestyle stunt scooter will be greatly suitable for beginners. This stunt scooter boasts semi-soft 88A polyurethane wheels with the spoked aluminum core, allowing for a quite nice stunt and trick performance. The deck is also rather wide for a kid’s scooter. The bearings of Pro Freestyle scooter are ABEC 9, but you may want to look for better bearings because the stock unit probably won’t satisfy you. What’s remarkable about this model is its choice of materials. Outon states that Pro Freestyle can handle up to 300 lbs. of weight, and all these thanks to the strong aluminum build of the scooter. On paper, this stunt scooter looks perfect for the majority of kids. In reality, it seems that a good portion of the buyers of this scooter experienced some major issues with its durability, starting from the wheels falling off and ending with the clamps getting loose after just minutes of the ride. There have been a lot of users who absolutely loved this scooter, but we couldn’t ignore a large number of negative reviews. But overall, this scooter looks quite good, so if you liked it, feel free to try it out! Maybe it is what you have been looking for! Weight Limit: 220 lbs. of max weight. 20 W x 22 H inches of handlebar size. A high-quality scooter for beginners. Rather smooth ABEC 5 bearings. One might expect better bearings with a scooter for such a price. Won’t be comfortable for taller individuals. We have previously reviewed rather affordable beginners’ stunt scooter, and now is the time for something a little bit better. Royal Guard II Freestyle Scooter (model 71103) is made from quality materials and offers enough comfort for beginners to get quickly accustomed to stunt scooters. The deck and bars are made from heat-treated aluminum, which is renowned for its great durability. The 100mm wheels are made from polyurethane with 88A moderate softness. The wheels’ core has a spoked design, which raises some questions in regard to the core’s overall durability, but the cores should offer a good balance of longevity. This stunt scooter comes equipped with ABEC 5 bearings. We honestly were expecting something better, because even cheaper stunt scooters come with ABEC 9 bearings. On the other hand, the ABEC rating isn’t the only thing that indicates the bearings’ performance, so these ABEC 5 bearings might turn out to be much better! With a 22-inch high handlebar, this stunt scooter will undoubtedly be suitable for kids and even some adults. Royal Scooters doesn’t indicate the scooter’s max weight limit, but some digging in the Q & A section allowed us to get the number 220 lbs. All in all, Royal Scooters Royal Guard II Freestyle Scooter would be a nice choice if you require superb quality of materials, as well as durability. But you may still need to think about getting better bearings! 19 L x 4.25W inches of deck size. A great scooter for beginners and advanced riders. Fully upgradeable and compatible with a wide range of accessories produced by Lucky Scooters. Effective and easy to regulate TCS/HIC compression system. The stock wheels are spoked. What’s great about Lucky CREW Pro scooter is that it is suitable for almost anyone regardless of the skill level. At least, for those who can comfortably ride the scooter because it isn’t the largest one. In terms of components, everything is spot-on. This pro scooter is equipped with a reinforced and rather wide deck, hardened-steel fork, durable double clamp, an effective brake, and convenient grips. The 110mm 86A wheels are also great and are suitable for a wide range of surfaces. And let’s not forget the TCS/HIC compression system, which is both exceptionally effective and quite easy to redial the scooter with. But what’s maybe most noteworthy about this scooter is that it is fully upgradeable. Lucky Scooters offers a truly huge range of parts like wheels, grips, decks, brakes, and basically anything one might want to upgrade the scooter with. Even those spoked stock wheels could be easily replaced with solid-core wheels, though this may cost you quite a bit of your money. Lucky CREW Pro scooter certainly is a long-term purchase. Given that you have the budget, (after all, this scooter isn’t cheap) you will get a great stunt scooter for the years to come. And thanks to Lucky’s efforts, you can basically use the stock scooter as a framework for your future vision of an ideal stunt scooter! But is this scooter the best pro scooter you could find? Let’s see what the next model has to offer! Ground to Handlebar: 24.4 H x 22.04 W inches. 68 x 4.72 inches of deck size. High handlebars. Suitable for taller riders. Ideal for both new and advanced riders. Equipped with a HIC compression system. If you liked Lucky CREW Pro scooter but feel that it doesn’t have enough size to it, Envy S5 Prodigy Scooter, one of the best trick scooters we examined today, may be just right. S5 stunt scooter offers basically the same as Lucky pro scooter, so it will be ideal for advanced riders and will be quite nice for beginners. Measuring 120mm in diameter, the stock wheels of this scooter are bigger than one might expect, but they are still great for stunts. Unfortunately, Envy doesn’t provide info on the softness of the wheels, but it should be somewhere around 80-90A. Though S5 comes with excellent materials and components, you can replace each and every one of them with their better counterparts offered by Envy. Similarly, S5 will work as a great framework for your future dream scooter. And all in all, S5 will be as potent as Lucky CREW Pro scooter, and it will be particularly good if you are tall. And we do think that this is maybe the best stunt scooter we examined today, and it stands beside Lucky CREW Pro scooter. But whether it is the best or not depends on your requirements! Different types of kick scooters require varying approaches. Electric, stunt, and cruising scooters share a lot of features, but you can’t apply the guidelines of one type to choose the other. That’s why we tried to describe how each of the components of scooters impacts their performance as in-depth as possible, and also give some recommendations for different buyers. Also keep in mind that the stock components don’t play such a huge role because these days, it is very easy to find high-quality replacements. However, keep in mind that more expensive scooters typically have better upgradability while the cheapest models may offer you no opportunities to replace the stock components. Stunt and cruising scooters typically come with polyurethane or urethane wheels, but some models feature alloy wheels. The material itself isn’t of most importance: what is crucial however is how soft or hard the wheel is. The term for hardness is called durometer. The majority of manufacturers use the Durometer A 0-100 scale: the bigger the number, the harder the wheel is. Some manufacturers use the B 0-80 scale. In general, harder wheels are faster and offer less grip on the road, which makes them ideal for stunt scooters. On the other hand, softer wheels offer more traction and also somewhat soften the bumps of the road, which makes them perfect for cruising. Most of the scooters come with balanced wheels with about 85-90A, while the softest/hardest wheels are typically somewhere around 80/95A respectively. Wheel size or diameter also impacts the riding experience. Bigger wheels accelerate slower but achieve greater speeds, while smaller wheels accelerate faster but are slower. Bigger wheels are less prone to stagger due to bumps and small stones, which makes them better for cruising. On the other hand, brisk smaller wheels are better for stunt scooters. Cruising scooters generally come with 200mm wheels while stunt models are equipped with about 100mm wheels. As for electric scooters, they typically come with pneumatic wheels that offer a superb comfort. The sizes typically range around 10 inches, so they are the best in terms of ride comfort. Another important thing to consider is the core design of the wheels. There are three general options for the core: full-core, spoked, and hollow-core. The full-core wheels are the most durable wheels for a scooter you can find, and they are also the most expensive. Spoked wheels offer moderate strength and price, and they should allow for quite a bit of wheel life. However, you shouldn’t expect them to work for too long if you are doing many stunts. And the weakest design is the hollow-core wheels, which look like full-core models but are, as their name implies, hollow from the inside. You shouldn’t go for hollow wheels unless you aren’t looking for something very durable. The choice of the core design will be somewhat important but not significant with cruising scooters but quite crucial with stunt scooters. If you expect longevity from your stunt scooter, either go for a model with stock full-core wheels or buy ones as soon as you get your hands on the scooter. The height of the handlebar impacts how tall individuals can ride the scooter comfortably. On one hand, taller individuals should go for scooters with higher handles, and on the other, handlebar height could be a matter of preference. The same goes for handle width: while taller riders may want to have wider handles, they shouldn’t neglect their preference. Unfortunately, manufacturers not always indicate the handlebar dimensions in the product descriptions of their scooters. Luckily, some scooters come with adjustable handlebars, but this has some intricacies, which we will cover below. If you want to know whether or not your deck will fit your shoe size, deck length &width are the numbers you should be looking for. But because length alone often cannot indicate how much actual foot space there is, some manufacturers indicate the foot space in their product descriptions. Unfortunately, like with handlebar size, not all manufacturers include info on deck size, as you could have seen from the reviews. So you might need to do some digging to find out the dimensions of the deck. Every kind of scooter has some maximum weight limit it is guaranteed to hold for a long time. While you can ride a scooter that doesn’t support your weight, you will probably soon end up with the remnants of what once has been a scooter. After all, the manufacturers indicate the weight limit for a reason. When buying a scooter, make sure that it will be able to support the weight of those who will be using it. Compression systems keep the scooters dialed, i.e. make sure that all the components are firmly attached to each other. Compression systems need to be dialed from time to time, depending on the intensity of the use of the scooter. Compression systems are present in both cruising and stunt scooters, but they are much more important with stunt scooters because stunts make them get loose much quicker. And because compression systems sometimes need to be redialed, the convenience of their use is as important as their effectiveness. HIC systems sometimes referred to as IHC. These compression systems are the simplest yet one of the most effective units you could get. They are also rather easy to use: to dial a HIC compression system, you just need to tighten its bolts. And what’s great about the HIC system is that they do not come loose very often. SCS compression systems are the most reliable systems out there. Dialing SCS systems is done the same way as with HIC: just tighten the bolts, and you will forget about redialing for a long time. On the other hand, SCS systems are much heavier and more expensive than the other systems. ICS compression systems arethe cheapest and lightest models. While ICS systems are rather affordable, the process of their dialing is extremely annoying as you have to take off the front wheel each time before tightening the system. Apart from that, ICS systems get loose pretty quickly. While bearings are present in any type of scooters, the bearings of stunt and cruising scooters are much more important to consider. With electric scooters, manufacturers mostly don’t give any attention to bearings, and maybe you also should do so because bearings aren’t as important with electric scooters. They are simply better by default. Bearings are used to reduce rotational friction and ensure smooth rotation of the wheels. Bearings are typically given the precision rating known as ABEC. The highest and best ABEC rating is ABEC 9, and that’s what you should generally go for. But the ABEC doesn’t account for a number of factors like bearing ball precision, materials, noise, the degree of ball polishing, and some others, meaning that an ABEC 9 bearing might be worse in terms of smoothness than an ABEC 5, as an example. This is why some stock ABEC 9 bearings included with some scooters lack smoothness. If you want the seamless ride, go for better bearings, but don’t forget that the rating doesn’t mean everything. Every kind of scooter comes with some kind of brakes. Electric scooters have hand brakes while stunt and cruising scooters are equipped with rear brakes, though cruising scooters sometimes come with hand brakes. If you are looking for a cruising scooter, you might want to pick one that has rear brake plus a hand brake for convenience. 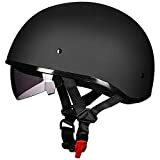 As for the rear brake, regardless of whether the scooter is stunt or cruising, make sure that it doesn’t operate on any kind of spring mechanism because the springs will wear off someday, rendering the brakes useless. And as we already mentioned in the reviews, do not confuse the spring steel material with the presence of springs. As a reminder: spring steel is used in the production of automotive suspension, hence its name. A retractable kickstand is a common feature for electric and cruising scooters. You won’t meet a stunt scooter with a kickstand, and you don’t really need it because it would increase the stunt scooter’s weight. But if you are looking for a cruising scooter, make sure that it has a kickstand for you to be able to park it during your shortstops. Weight isn’t that important with cruising kick scooters but is crucial with stunt scooters. Just think about it: will it be easy to perform stunts on a heavy scooter? The lighter the scooter, the easier it will be to control it. But the question of weight isn’t that obvious, unfortunately. Lightweight could be an indicator of cheaper materials. As you could have noticed from the reviews, expensive scooters are generally heavier compared to the cheaper models, though the difference is mostly somewhere around 1 lbs. Part of the reason for that is the choice of materials. To make choosing the right scooter easier, just make sure that the lightweight scooter doesn’t have any issues with its material quality by reading some user reviews. Adjustable handlebar is a rather convenient feature to have. A kick scooter with an adjustable handlebar can allow a wide range of riders to operate the scooter comfortably. Adjustable handlebars are common with cruising scooters, so several individuals will be able to ride them. On the other hand, stunt scooters never come with adjustable handlebars because they basically create a weak point in the scooter’s structure. An ideal stunt scooter has a few separate components as possible, so you should avoid stunt scooters with adjustable handlebars even if you find one. Most of the cruising kick scooters come with a two-fold design, which allows you to quickly fold the scooter down for convenient storage and transport. On the other hand, stunt scooters are never foldable because the point where the scooter folds is another weakness. Remember, stunt scooters are designed to have as few weak points as possible, so you won’t find a foldable stunt scooter. Even if you do, avoid it because it won’t be as reliable and stable as a non-foldable stunt scooter. Some of the features of kick scooters are also present in electric scooters. You could pretty much apply any feature to electric scooters, apart from foldability, adjustable handlebars, and compression systems. But there are some features exclusive to electric scooters, which we will examine below. Electric scooters’ max speed is limited by their motors. Electric scooters typically drive at speeds between 10 and 20 mph, so there won’t be too much difference in terms of speed between affordable and expensive electric scooters. Max speed isn’t the most important feature to look for, but maybe it’s important to you. Battery time and one-charge maximum range are much more important than the max speed. Manufacturers mostly indicate battery time and occasionally denote max distance, but either of them should be enough to get an idea of how far a scooter can go. Info on battery time and maximum distance are pretty convenient to have if the electric scooter only has one speed, i.e. doesn’t have adjustable acceleration and either drive at max speed or stands still. In this case, estimating how many miles you can drive per charge is rather easy. On the other hand, the battery time of a scooter with adjustable speed doesn’t really help you because, at different speeds, the actual battery time will vary. A chart on the battery time at different speeds would be convenient in this case, but manufacturers mostly do not provide such data. In this case, the only thing you could do is take the battery time and the max distance as merely approximate numbers, though they can be useful when comparing different scooters. Seek to not only learn everything about the advantages but also the disadvantages of scooters. And we mean that you should look out for both design- & price-related cons and possible factory defects. You should do this so you don’t get caught up on an issue, which may be so irresolvable that it might force you to just buy a new scooter. If you know every single thing about scooters, you should be able to identify downsides and flaws relatively easy just upon having a glance at a scooter model. As for defects, the only way you will find out a thing about them is either through experiencing them yourself or by reading user reviews. Factory defects don’t mean that the scooter is bad, but they do mean that you are at risk of encountering defects during the use of a scooter. Mike Bhand is a professional writer backed by firsthand experience and engaging study on the topic. Loving father of two super sportive sons and a passionate sports-product writer, He has written extensively on this particular topic. To add more, both as a kid and father; he has spent ample time with toy transportation. You are cordially invited to share your experience that can better audience retention of this blog.